It's that time of year again when people give their top 10 book lists. I, however, have just stumbled upon the list I meant to post this time last year, but forgot. But these books are all still good, so I thought I'd share my year-old list anyway. For the second year in a row, Donald Fairbairn is at the top of my list of favourite books. 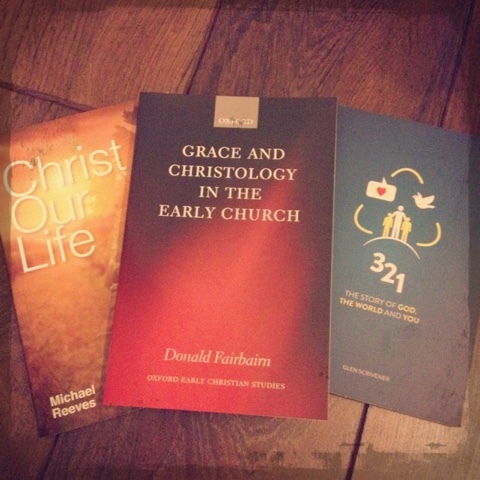 Grace and Christology in the Early Church is somewhat more technical and narrowly focused than last year’s favourite (Life in the Trinity) – it is, after all, an academic work on Patristics/historical theology published by Oxford University Press, and is the published form of Fairbairn’s PhD thesis – yet the two works have rather a lot in common. 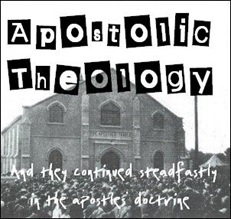 If you’re not used to reading academic theology, then go for Life in the Trinity, but for those who do have a theology/church history background, don’t miss out on this one. I didn’t read all that many books that were actually published in 2014 during 2014, but I made room for these two as I rather imagined they’d be among the books of the year, and I wasn’t disappointed. Both are great. Get them and read them. Both are about Jesus, and you'll benefit from them both. 321 is really an evangelistic book (although I think Christians will benefit from it as well) so get a few copies and give them to friends who want to know why you believe in Jesus or have questions about the Christian faith. After loving Torrance’s Incarnation last year, I wanted to read a lot more Torrance. 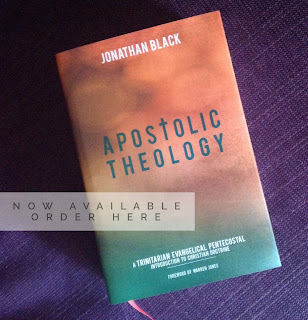 The Christian Doctrine of God might look like a small book, but it’s definitely not a quick (or easy – I did say it was a work of academic theology, and not the simplest of those either) read. It is, however, well worth the time and effort. Two more books actually published in 2014 and both about prayer. But not only are they two new books about prayer that I rather like, they’re probably the two most helpful books about prayer that I’ve ever read. I’ve been recommending them lots.